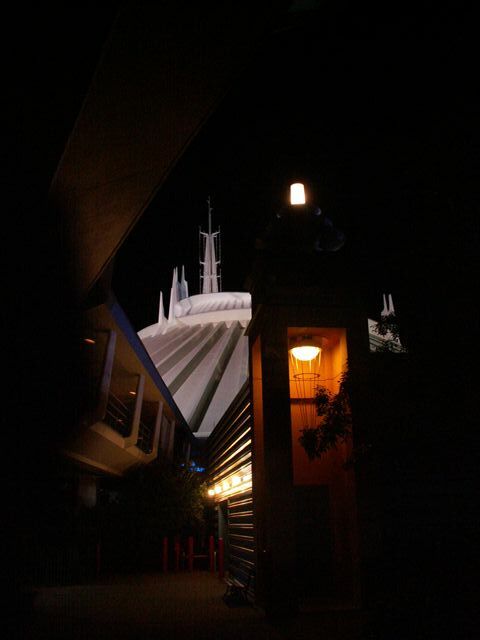 Writing a trip report almost 2 years after the fact can be challenging, especailly when theres a gap in the pictures taken, here we've reached one of those spots, there's a 90 minute gap between the time stamp of the last Adventureland photo and the next photos below, I think we rode the Pirates of the Caribbean, perhaps we went back and hit Splash Mountain too, but with Carlene still only feeling so-so that's less likely, I'm pretty sure we got our first taste of Stitch this night and it probably fell into this time slot too and likely hit another Tomorrowland attraction like Buzz Lightyear, or the TTA while over here as well (the TTA is a nice easy going ride and would have made a good candidate for someone feeling less than 100 percent well). 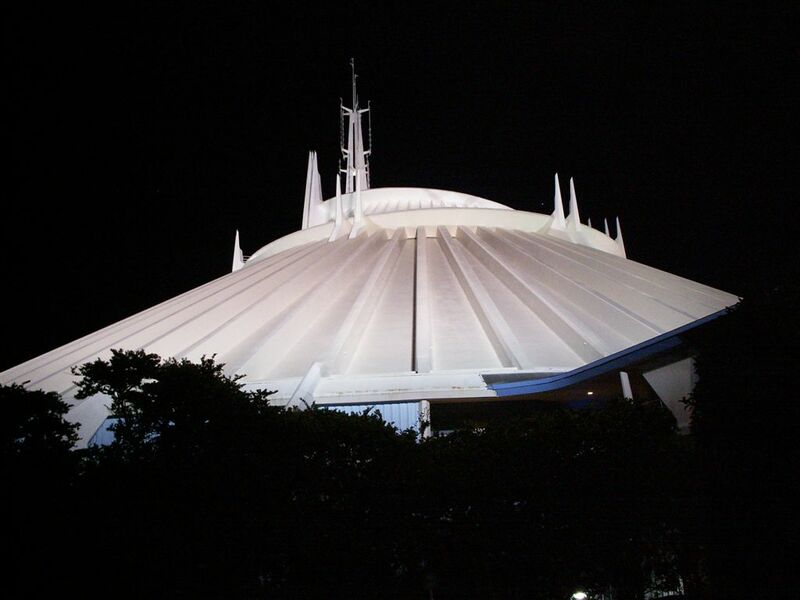 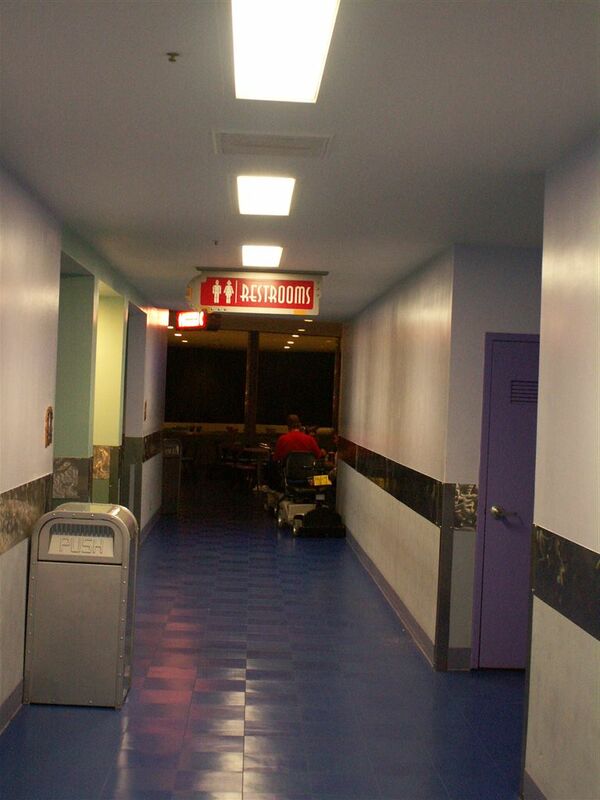 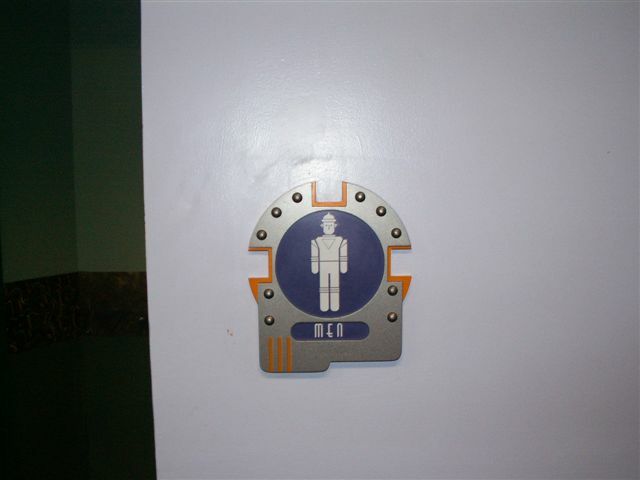 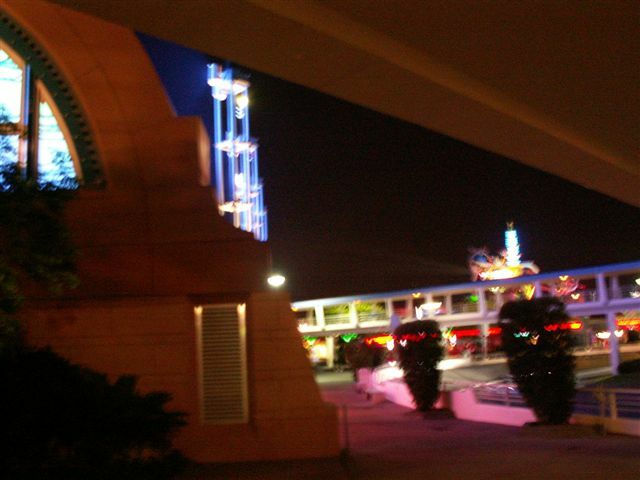 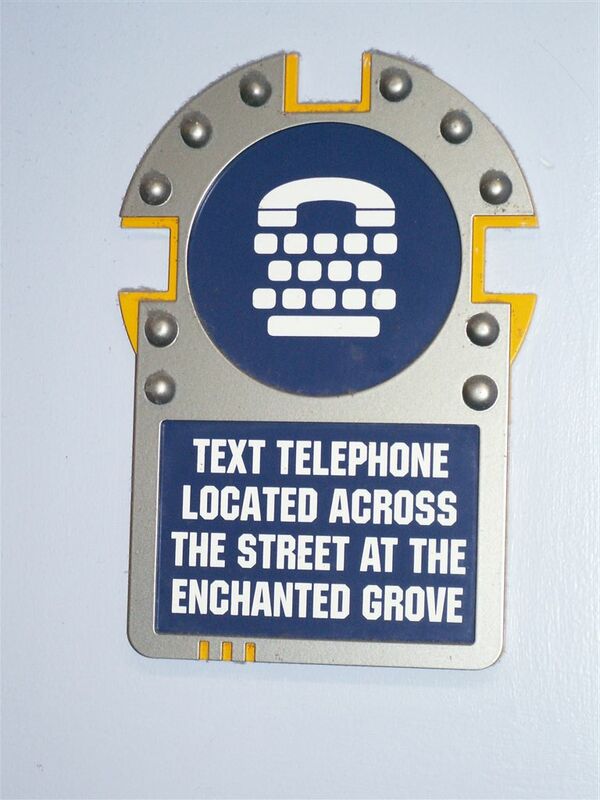 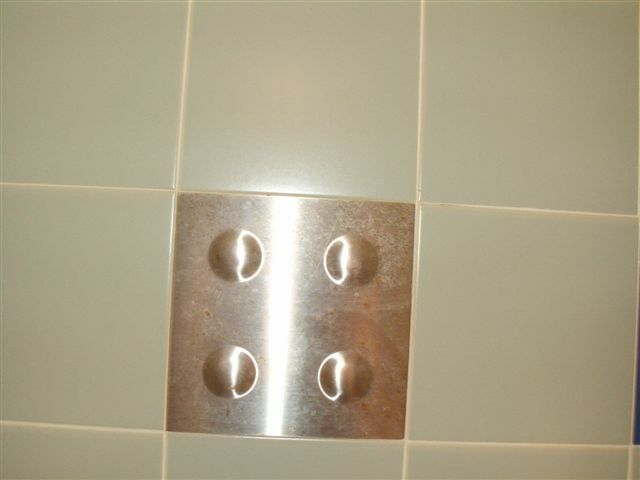 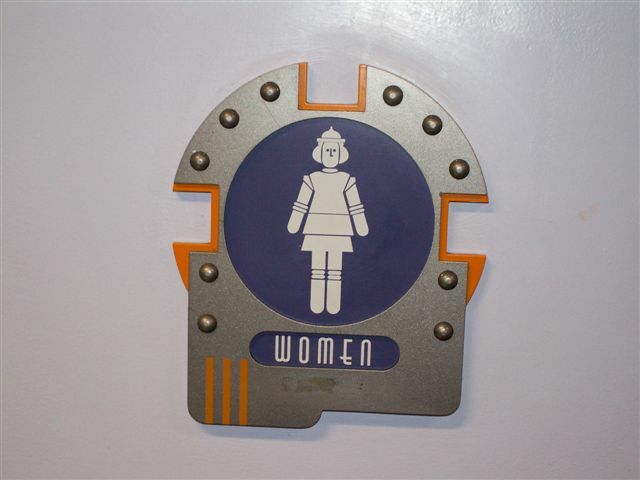 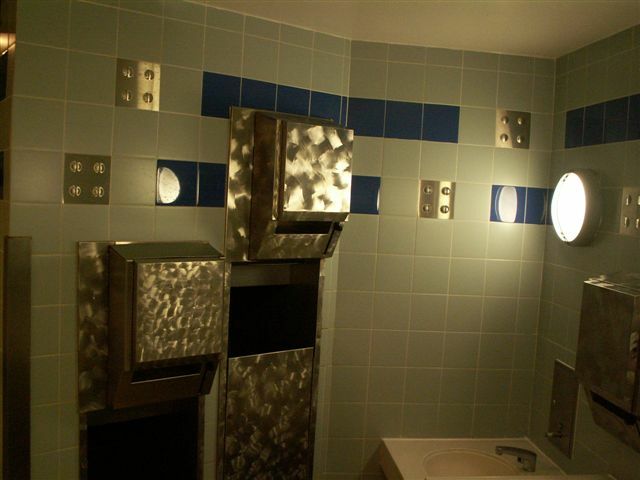 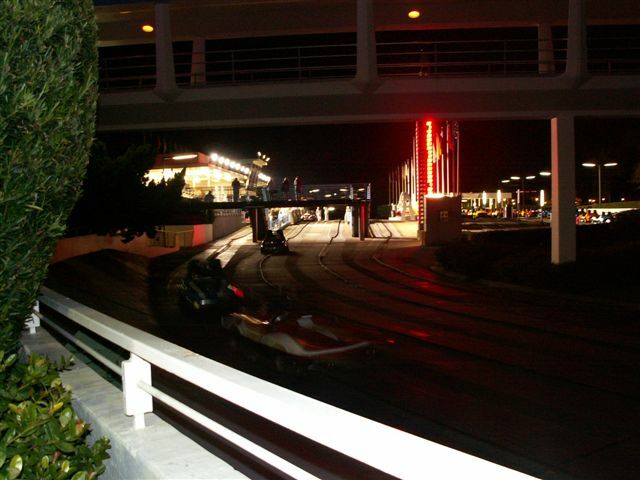 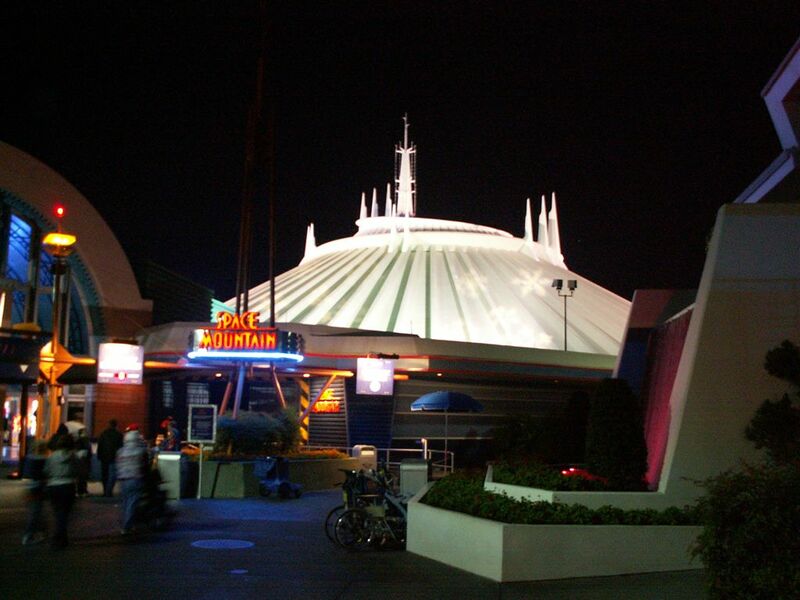 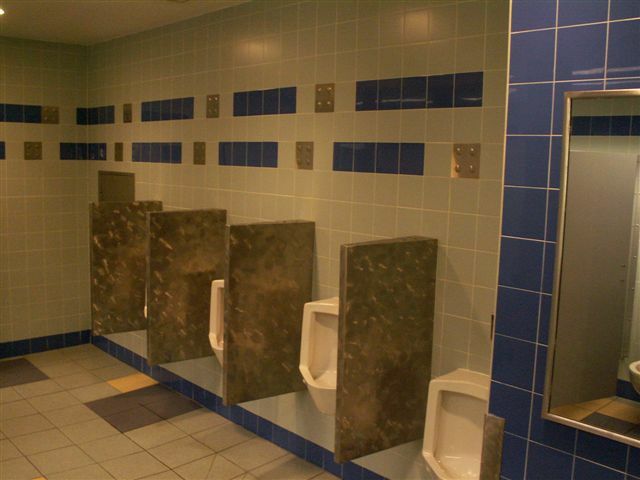 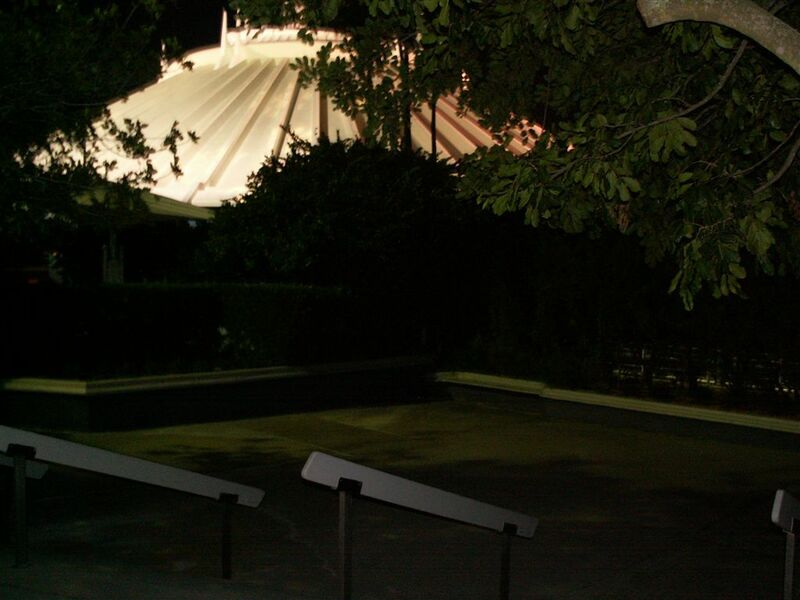 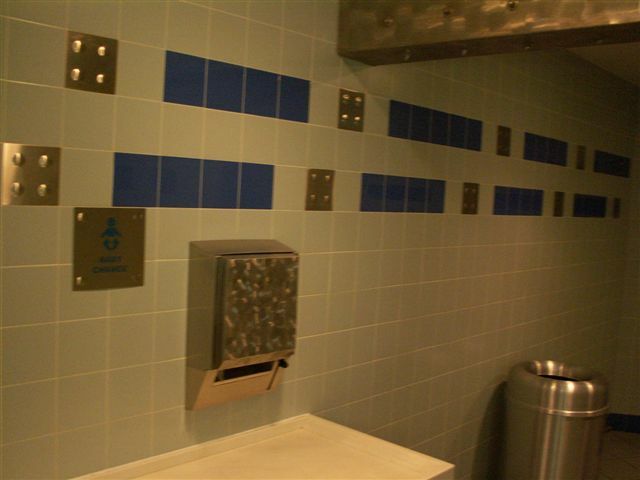 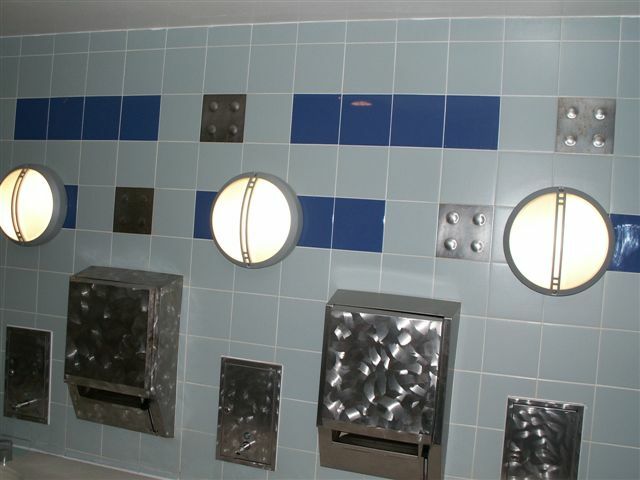 I know it seemed like we made more bathroom stops than normal, Fantasyland, Pecos Bills, and below in Tomorrowland, where I got some photos in Cosmic Rays. 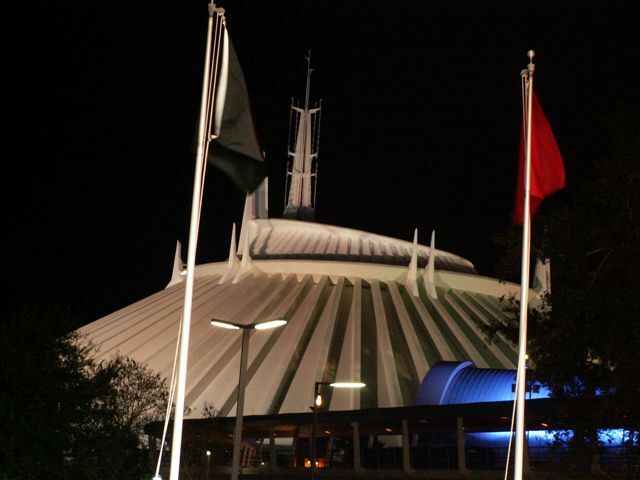 above and Below: I looked around for good or interesting angles on Space Mountain, the few exterior views of this attraction on postcards were mostly taken before the Arcade building was put in and are not reproducable today, the shot with the flags in it was taken from the Tomorrowland Speedway Grandstands, the one above and below from alongside the Arcade building, the shot that is the next to last image on this page (and the last one of Space Mountain) is taken from behind the Skyway building, it's a very nice quiet corner of the park.